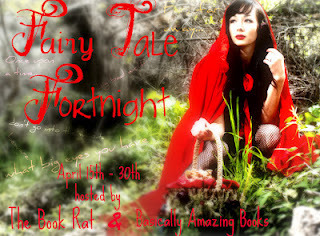 Welcome to Fairy Tale Fortnight, home of fairy tale lovers everywhere! Check out what The Book Rat & Basically Amazing Books have in store as well! One of my favorite things to do is stare at pretty book covers. 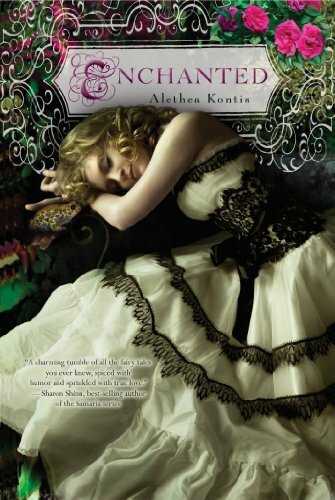 The moment I saw the beauty that is the cover for ENCHANTED by Alethea Kontis, I wanted it! What better thing to do for FTF than interview the brain behind the cover, Houghton Mifflin Harcourt Art Director Christine Kettner? Plus, don't forget to take part in the amazing giveaway at the bottom of the post! And check out today's review, too! Christine Kettner is the Houghton Mifflin Harcourt Art Director. She's designed several amazing book covers, including ENCHANTED by Alethea Kontis, which releases May 8th, but may be available at a bookstore near you now [it is at mine]! I love ENCHANTED's cover. From the beautifully designed title to that gorgeous dress, everything looks just right. I wanted it in a heartbeat. How did you come up with the final cover's design? What were some of your early ideas for the cover treatment? I was drawn by the fairy tale romance and wanted to convey that on the cover. I researched stock photos and also explored the website of the photographer Suza Scolara, who has the right surreal sensibility for romantic fantasy. But in the end, it was the editor, Reka Simonsen, who found just the right image that we ultimately went with. The image came from Trevillion, a stock image house based in London. They have the most beautiful, haunting images for book covers. What other covers have you designed? What are your favorites? Years ago when I worked at HarperCollins, I designed THE CHRONICLES OF NARNIA series with the Chris Van Allsburg covers. I am so very honored and privileged when I am asked to work on a beloved classic. On a more modern design note, I created the DIVE jacket for Adele Griffin published by Hyperion. That got a lot of attention from the design world at the time. 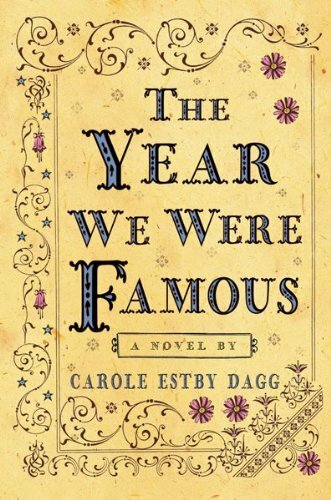 I also enjoyed THE YEAR I WAS FAMOUS by Carole Estby Dagg, recently published by Clarion. That was a cover created totally with fonts and clip art and has a real retro old fashioned feel. But really, every book is a challenge and a pleasure to work on. I don’t mind having to redesign if a concept is shot down. I enjoy the puzzle of rethinking the design. What media do you typically use when creating your illustrations? We hire outside freelancers to illustrate. Illustrators use different mediums, of course. Recently, I hired Jennifer Black Reinhardt, who has a nice elegant black line to illustrate THE ADVENTURES OF A POLAR PIG by Chris Kurtz. But I have also hired illustrators who work in oil or acrylic. Many send in the art as a digital file. It is really which artist’s style speaks to us that would be a appropriate fit for a manuscript. There are so many great ones out there. We also use the application program Photoshop as a digital device to change stock photos, which could be seen as digital illustration. Freelance artists use that as well. As the Houghton Mifflin Harcourt Art Director, how much of a hand do you have in all of the covers that are put out? How do you work with other cover designers when they're doing the primary artwork? First off, let me say that all the designers in my department, Kerry Martin, Elizabeth Tardiff, and Sharismar Rodriguez, Opal Roengchai and Jim Secula are extremely talented and a pleasure to work with. 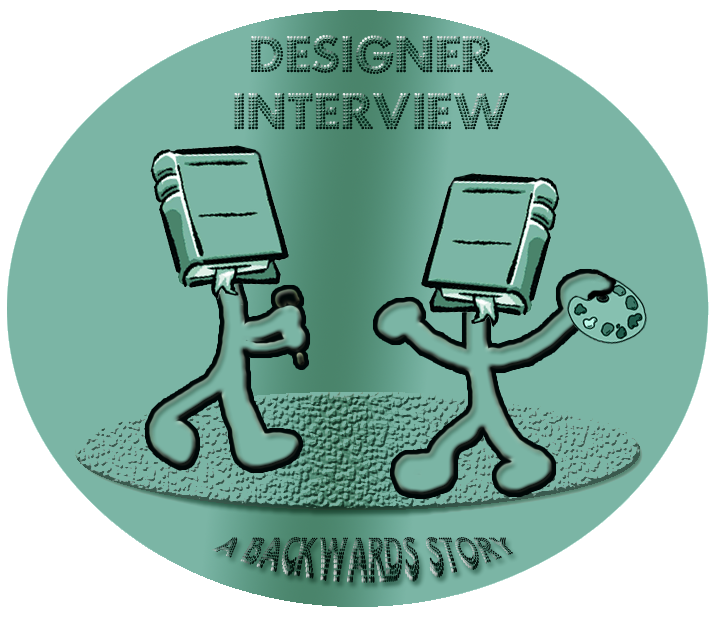 We discuss beforehand whether the book should be illustrated or designed and then they come up with comps. We then discuss the comps with a back and forth dialog. Sometimes something we think should be illustrated, we then realize could have a more graphic design approach after the designer has worked up some comps and vice versa. If a book jacket needs to be illustrated, we choose a freelance illustrator and sometimes the illustrator’s samples are taken to a jacket meeting where the sales and marketing people can have a say whether the artist is the right fit for the book. I also discuss comps with my supervisor Sheila Smallwood who has had a steady hand in guiding me. I love the way the chapter treatment uses the same scripty elements that grace the book's cover, as well as the way each chapter begins with a nested capital letter in the same font used for the "E" in ENCHANTED on the book's cover. How do you decide what kind of treatment to give to a book's interior design--or when not to, as is the case in too many books? Once the jacket comp has been approved, I like to relate the jacket design somehow to the interior to give it a cohesive package. I am fond of large initial caps announcing a chapter opener. It seems like good, old-fashioned book design that should not go out of style. I confess, I try not to skimp on the interior design. In fact, to me the interior design is the real test of a great designer because you are stripped of all the bells and whistles of a full color jacket with an image and have only basic typography to work with. Did you always want to design covers? How hard has it been to enter this line of work? I graduated from the School of Visual Arts wanting to design book covers. How fortunate I have been in life! Yes, it is a hard line of work to get into because there are many talented designers out there. Very tight competition. But it is so much fun and rewarding! If you want to be a book designer and if you have the talent, where there is a will there is a way. Just persevere and study the book jacket designs out there and make connections in publishing. Christine, thank you so much for taking the time to answer my questions. Seeing your responses was especially enlightening and truly helped me build a better visual picture of everything you do as both a designer and art director! Bookworms, don't forget to check out today's review of ENCHANTED and enter the giveaway! Because Alethea is MADE OF WIN she has donated an awesome gift basket full of Enchanted goodness and Fairy Tale win. She has donated a finished, signed copy of Enchanted to one lucky winner along with other fun swag and surprise gifts. TO ENTER: Use the Rafflecopter form below. There are extra entries available for commenting on Enchanted related posts on Ashley's blog, Misty's blog, and Bonnie's blog. The Rafflecopter widget is the same on all three blogs. You can enter through any of our blogs, but you must visit and comment on each individual post for the extra entries. Giveaway is US only. Ends May 7th. I love learning all about these awesome covers! Great interview! I like how they adapted the stock photo for a fairytale with the scroll work. It's a beautiful cover. This is a great interview! I've never really thought about the actual work that goes into designing a cover before. Nice to "meet" one of the artists. I think my favorite part of the cover is her dress! I want it! I just love how pretty the cover is. The dress looks so awesome and I now I want to own own this book badly.. This is such a fascinating glimpse into cover design. And it's such an appealing cover. Great interview! I love the cover of Enchanted! It's so dreamy and I LOVE the dress. 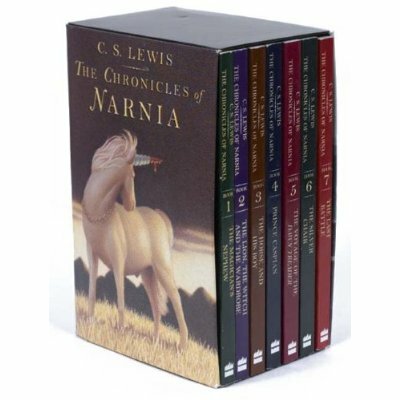 Also, I own that set of Narnia books--They have a prominent place on my bookshelf because they're so pretty. I like the background embellishments the best.